The polymer banknote is based on the existing D25.00 note and therefore similar in many aspects, except that the colour background of the D20.00 polymer banknote is green and bears the portraits of President His Excellency Sheikh Professor Alhagie Dr. Yahya. A. J. J. Jammeh. 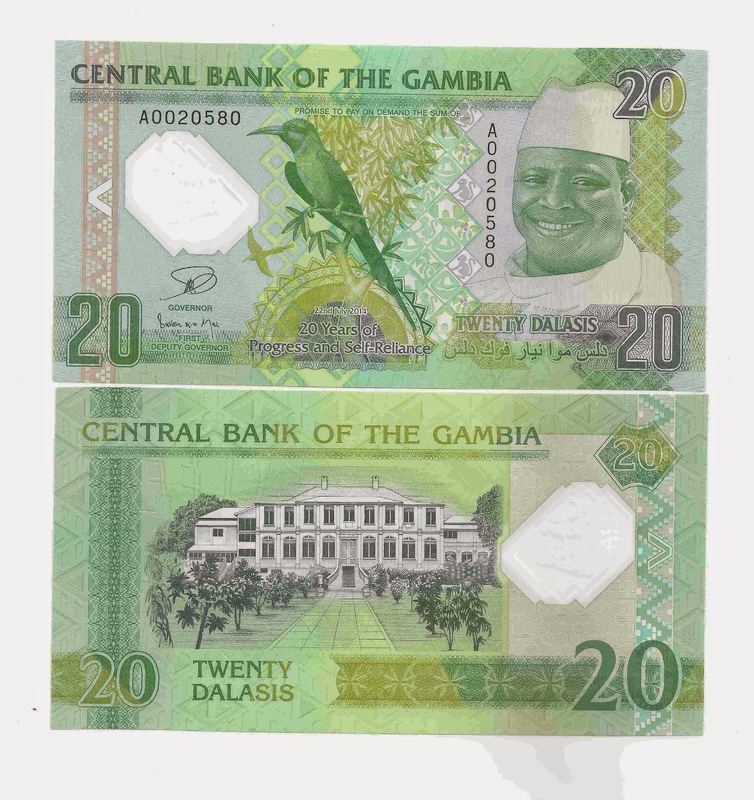 The polymer banknotes have a date of July 22, 2014 with the words “20 Years of Progress and Self-Reliance” written on the centre bottom of the obverse side of the note. Few critical changes were made to incorporate security features that are unique to only polymer notes to enhance the overall security level of the denomination. However, both the polymer and the current D25.00 notes shall circulate side by side, and the latter will continue to be legal tender until it is fully withdrawn from circulation.